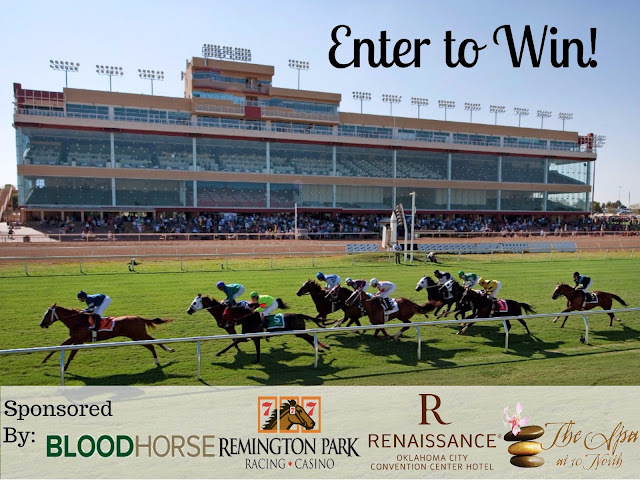 Remington Park and The Blood Horse have joined up to offer their Facebook fans a chance to win an amazing trip to visit their Springboard Mile at Remington Park in Oklahoma! (1) GRAND PRIZE winner will receive; a $1,000 flight credit from Expedia, a 2-night stay at the Renaissance Oklahoma City Convention Center Hotel & Spa, valet parking, couples massage at the The Spa at 10 North, a $500 Visa gift card, $100 food credit to Silks Restaurant, $300 in Free Play for the casino or live racing and (2) tickets to the National Cowboy & Western Heritage Museum, Oklahoma City Zoo and Botanical Garden and the Science Museum Oklahoma. This Sweepstakes ends on 12/10/17 and you can ENTER DAILY to win.